Coinsquare is one of the best cryptocurrency exchange and is a Canada based company. It has obtained StellarX. StellarX is a well featured decentralized exchange app native to the Stellar Protocol, and it is the fastest payment network in the entire world. It is offering a wide range of cryptocurrencies. And it is also offering fiat currencies. Fiat currencies are the latter which is being different for a Decentralized Exchange. StellarX has no authorization to the users’ funds and doesn’t charge fees. Coinsquare said that the buy came when it obtained stellar wallet named BlockEQ to the news on Thursday. So, that is going to be rebranded to become the ‘anchor wallet’ for the StellarX stage for moving further. Coinsquare did not reveal the cost of the purchase until now. Megha Bambra is the co-founder of BlockEQ. She will lead this StellarX now, as it is moving to extend developing the roadmap of stellar product. The firm Coinsquare owns StellarX, so it is going to continue its operations under its brand name. StellarX will be the subordinate of CoinSquare owned, which is of Bermuda based. The company said that it will now request for the license of Decentralized Exchange under the crypto friendly regulatory regime. Prior to the acquisition, Chain Inc. operated as a tech firm specializing in the development of cloud-based blockchain platforms for conducting financial transactions. Meanwhile, the Lightyear Corporation is a for-profit organization that manages products and services created using the Stellar protocol. As Ripple (a real-time gross settlement system) protocol’s primary competitor, the Stellar protocol defines the specification of crypto-to-fiat cross-border transfers involving any pair of currencies. Coinsquare is the perfect fit. They are already the leading Canadian cryptocurrency platform. They have very close relationships with regulators in the US, Europe, and Canada. The Bank of Montreal is their banking partner. Coinsquare CEO named Cole Diamond said that they are deeply committed to protecting the cryptocurrency market developments. He even said that they are seeing an extensive potential to make the best and leading services on StellarX which is to make further extensive adoption. Coinsquare raised 30 million dollars in equity financing which is led by the company named Canaccord Genuity, a financial services company. The investment said that it would be used to fuel an international growth plan and the strategy of diversification. The strategy is focusing on making the stage more responsive to normal needs of customers. 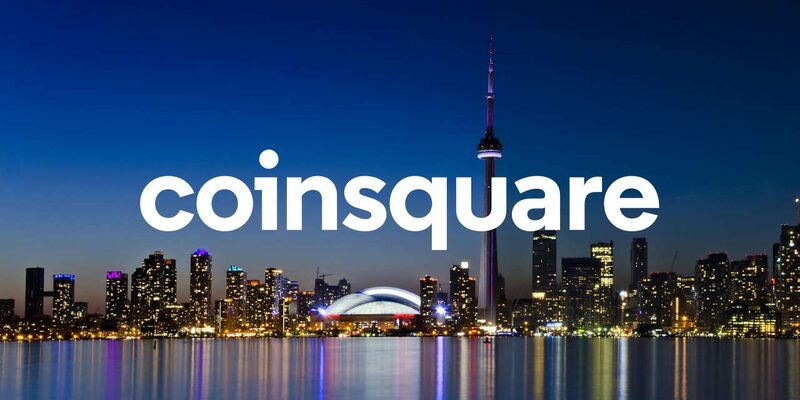 Coinsquare exchange in the year 2018 also informed that it has been introduced the launch of Coincapital, the speculation and collection fund organization separation of the trading platform; and was acquainted by LinkedIn as the fastest-growing startup on the Top Canadian Startup list based on the company’s 90% employee base development from the month of July 2017 to June 2018. Coinsquare is Canada’s leading cryptocurrency trading platform for trading Bitcoin, Ethereum, XRP, and different digital currencies. It was established in 2014, and till now has never lost a coin. Outstanding persistently dedicated to transparency, creating an open-minded culture and risk mitigation, Coinsquare is on a task to increase its multi-faceted monetary services corporation fastened in blockchain technology.